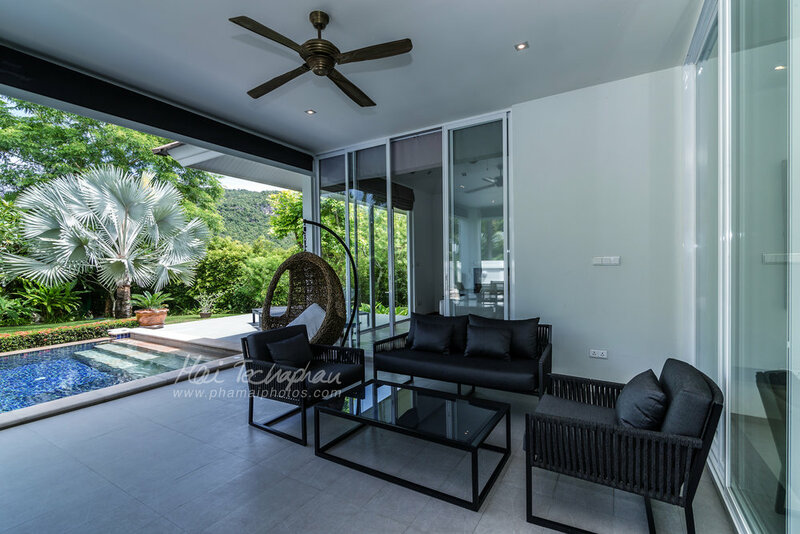 We photographed another beautiful pool villa at one of the luxurious housing projects in Hua Hin called Baan Ing Phu. 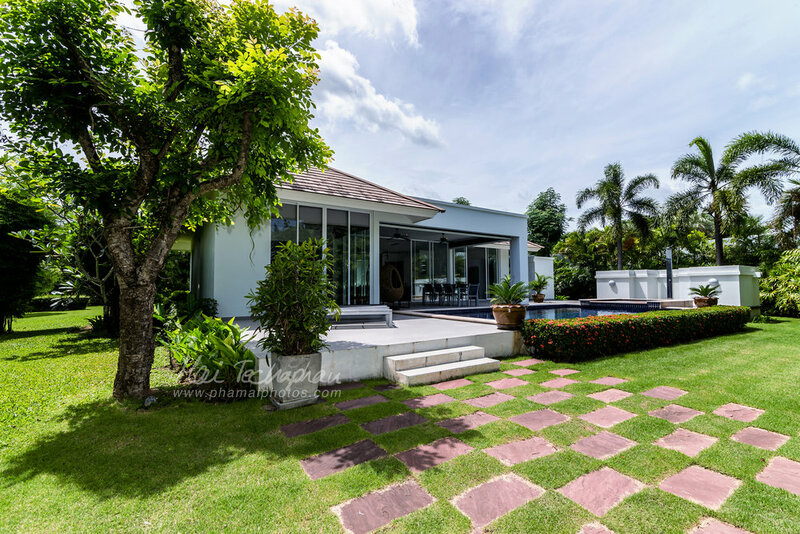 Even though the weather in Hua Hin had been wet and rainy that week, but the sun was a shining with clear blue sky that day, so great day for real estate shoot. The house was big and spacious with swimming pool and beautiful garden. It has one master bedroom with big bathroom, and two other smaller bedrooms with their own bathrooms as well. The kitchen is also big and well equipped. So, if you are visiting Hua Hin for a few days with big family and would like to have relax private time, this villa sounds just perfect.